It was a fresh, misty, morning – but according to the children, it was building to be a hot day – too hot to stay in the classroom doing maths, they said! No one had any idea that the day was going to become such an adventure. 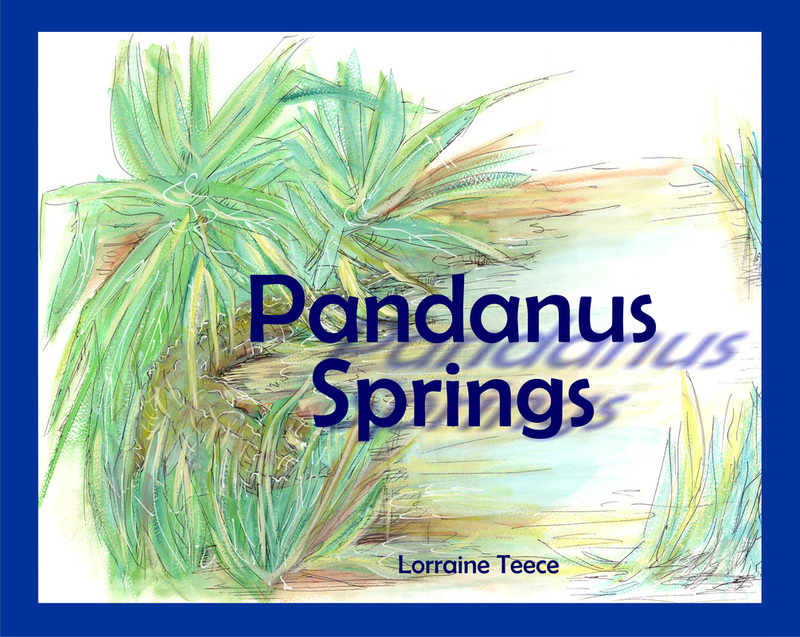 Only yesterday, the teacher, Ms Marla, told them they were going on a trip to Pandanus Springs. When Ms Marla and Ludmilla, the teaching assistant, told them all to, 'Jump into the Troupie', they were not surprised at the lightning way the children, laughing and calling out 'Yacki', streamed out of the classroom and joyfully leapt into the back of the vehicle. A school trip to the springs goes horribly wrong when one of the students goes missing. The search finds him at a waterhole nearby, frozen and staring at a crocodile. But all is not as it seems. Lorraine Teece lives in the Northern Territory. After many years as a school teacher, she is currently completing a PhD at Charles Darwin University, in Darwin NT. Lorraine has also completed a Master of Arts (Flinders University); Master of Indigenous Languages Education ( Sydney University); Bachelor of Arts (Underdale SACAE); Diploma of Education (Flinders University) and several other Diploma and Certificates in Health and Art, including a Naturopathic Diploma. .
Lorraine is an internationally recognised artist whose award-winning work is in public and private collections in Australia, England, California, West Germany, Austria, New York and Spain and her professional painting name is Lorraine Wyndham-Miller. Lorraine has published two books, has several books ready for publication and illustrated a book by another author. .
A diverse cultural background admits to Lorraine's lasting pride in her Australian heritage and country, this sparks her love and interest in the Australian outback.